Spacious 2br/2.5ba ranch w/full basement on a private lot overlooking the Antelope Hills golf course located in the town limits of Dubois. The home boasts 1849 SF on the main level & a 1798 unfinished basement w/14' walls - large enough to house 4 cars or 2 cars and a 35' RV. The basement also currently houses a home office, workshop and wood-working area as well as more storage space than you can fill! 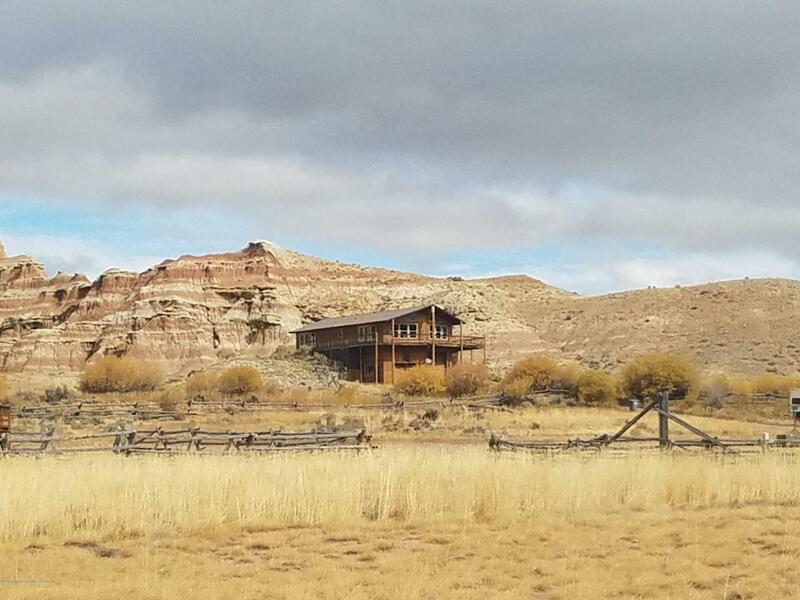 The private lot offers stunning views of the Wind River Range & the painted hills of the Absarokas. Energy upgrades include double blow in attic insulation, Nutone whole house fan system, double pane windows, whole house electric thermal forced air furnace, zoned in-floor radiant basement heat, and an insulated concrete foam foundation.Exterior redwood decking, low maintenance wood siding and a metal roof make for ease of ownership. A bonus RV parking spot with hook-ups allows spillover space for visiting guests. Don't let this one slip away! Schedule an appointment soon to see this gem.